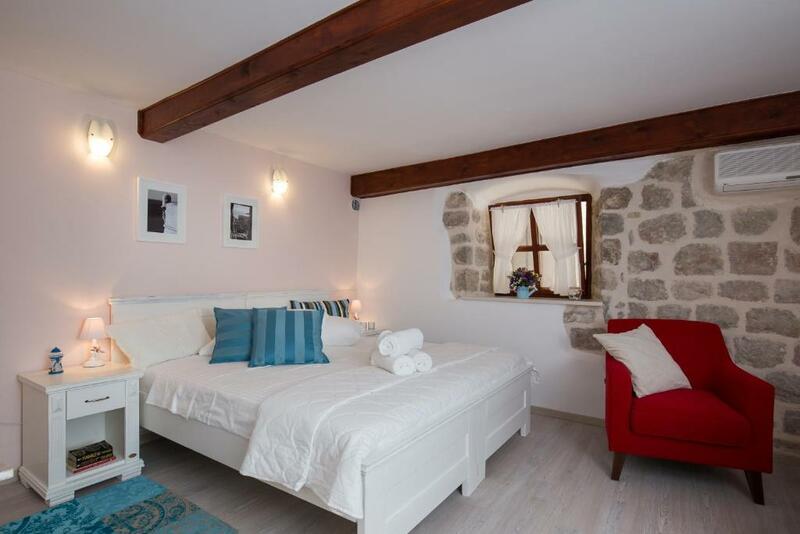 Apartment was very good located, clean and quiet- in the heart of Old Town. Everything was so close. Vlaho was a great host, communication was so easy and very good. He agreed transfer for us from the airport as well. Great location for all of the sights, right by the main square and the marina. Fully equipped with everything we needed and spotlessly clean. 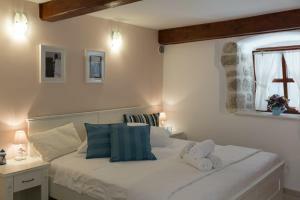 The accommodation was in a perfect, peaceful location yet was right in the centre of the city walls. There were thoughtful extras in the room. I was just lovely. Clean, modern unit right in the heart of the old town. Really convenient for our short stay. Vlaho was very prompt to meet us despite our delayed arrival time. Host was very helpful on all things. Apartment is very close to main attractions, but off on a quiet alley. Host Vlaho arranged taxi from airport, met us at the city gate and was very helpful, location in old town is close to everything. Facilities all very good, clean and bed very comfortable. Very close to everything, along a quiet street in the old town. Compact and comfortable with great air conditioning. Vlaho our host was very accommodating and is even sending over an iPhone charger we left behind. počas pobytu sa stale staral o nás,bol stale v kontakte,blizko do cetra aj k moru na pláž cca 20m katedrála a 30m pláž! Ticho absolutne pre kamenné múry!Ubytovateľ je super chlapík.Klobúk dole ! 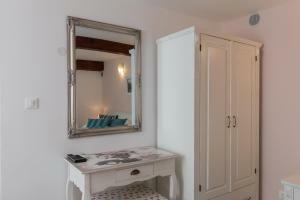 Lock in a great price for Apartment Stulli 1 - rated 9.8 by recent guests. Apartment Stulli 1 in Dubrovnik features accommodation with free WiFi, 250 yards from Orlando Column. It is set in a building dating from 18th century, 500 yards from Onofrio's Fountain. This air-conditioned apartment has 1 bedroom, a satellite flat-screen TV, and a kitchen with a microwave and a toaster. The apartment also comes with a seating area and 1 bathroom. Pile Gate is 600 yards from the apartment. Dubrovnik Airport is 11.8 miles from the property. 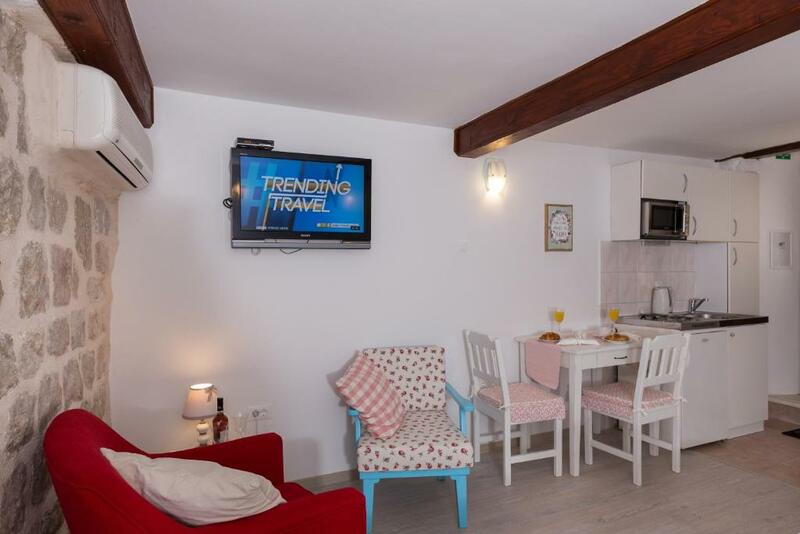 Apartment Stulli 1 has been welcoming Booking.com guests since 8 Jan 2018. When would you like to stay at Apartment Stulli 1? This apartment has a dining area, microwave and soundproofing. Our lovely apartment is located in scenic part of Old Town; Stulina street that is amazingly quiet for being so close to the bustling life in Old Town center. 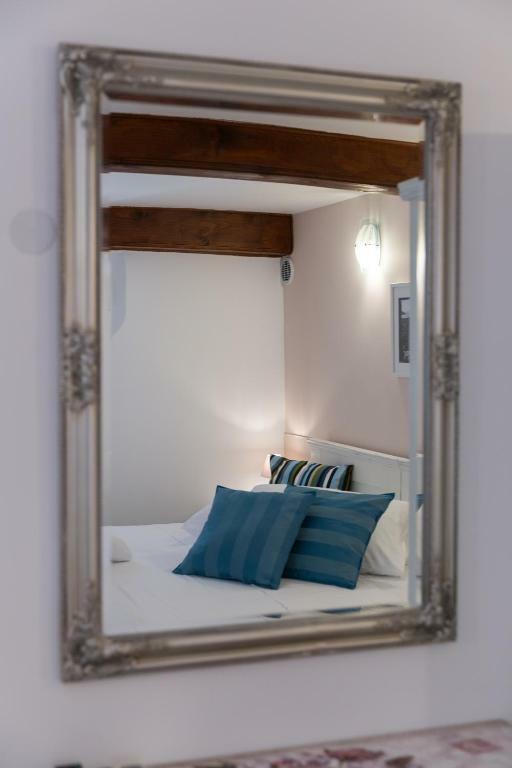 Apartment location offers the perfect combination to our guests because the Stulina street has only few steps and is situated in the part of Old Town that is two minutes easy walk away from Stradun, the Cathedral, Rector's Palace and other historical monument. As well as the two minutes of walk through the picturesque neighborhood streets among the locals there is the famous rocky beach Buza. 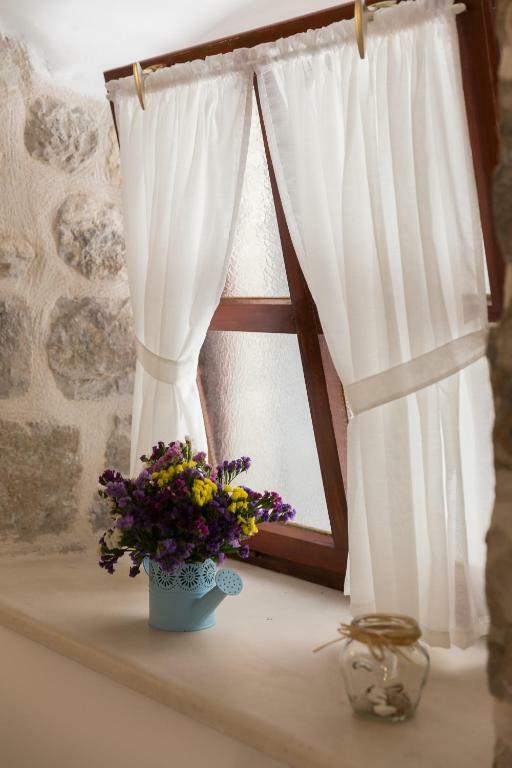 There, in touch with the city walls and viewing at horizon you can enjoy early mornings or evenings sipping the coffee or glass of your favorite beverage. This apartment is located in a peaceful, small street in the heart of the Old Town, just behind the famous and gorgeous Cathedral. Nevertheless, you can enjoy tranquility and silence when you come home as the street where the apartment is has no bars or restaurants in it. :) Also, just minute of an easy walk will get you to Stradun, Old Town's main street and center of all happenings in Dubrovnik. House rules Apartment Stulli 1 takes special requests - add in the next step! A damage deposit of EUR100 is required upon arrival, which is about GBP86.62. This deposit is fully refundable during check-out as long as there has been no damage to the property. Guests must be quiet between 12:00 and 16:00. A damage deposit of EUR 100 is required on arrival. That's about 86.62GBP. This will be collected as a cash payment. You should be reimbursed on check-out. Your deposit will be refunded in full in cash, subject to an inspection of the property. Please inform Apartment Stulli 1 in advance of your expected arrival time. You can use the Special Requests box when booking, or contact the property directly with the contact details provided in your confirmation. Might seem minor but there was no tea towel. Host was nice and gave us information about Dubrovnik. Location was amazing in the center of old Town and close to everything. The apartment is owned by a lovely family. The place charming and was super clean and very comfortable. The bathroom is the typical size you would expect to find in europe. Not large but has all that you need. It is located in the old city. As a solo female traveler I felt very safe in the apartment. The hosts were incredibly nice. They ordered a cab for me at my departure and walked me out to find it. Perfect apartment for a short stay in Dubrovnik. 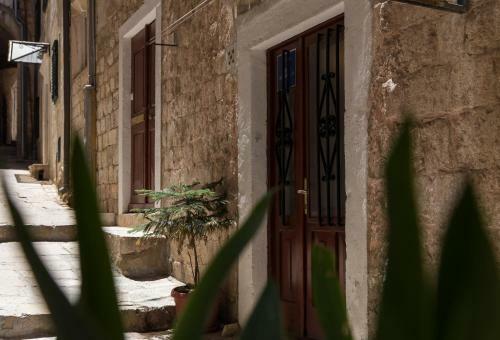 The apartment is minutes away from the centre of old town but nestled away in a little side street meaning it’s quiet and you won’t be disturbed at night. Nice room, clean, tidy and excellent location. As a 6 footer I found bathroom a little small but well appointed and very clean. Couple of cockroaches came in from either the drainage or the gap under the front door. 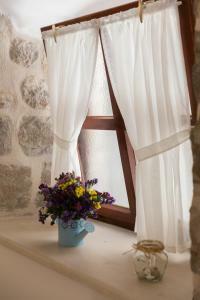 There are no dark curtains on the front door or the window in the bedroom, which means light comes in early in the morning and people in the street can see the movements of you within the room. Maybe provide a corkscrew and sharp cooking knife... only negatives!!!! None. This place is excellent. 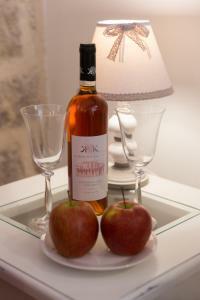 The host, Vlaho was excellent, very responsive and took good care of us. 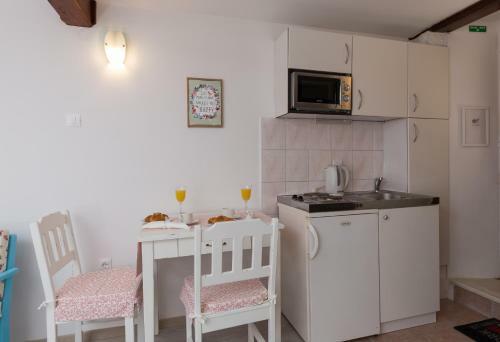 The studio apartment was on a ground floor in a quiet part of the old town of Dubrovnik. Everything is within walking distance. The center can be reached in less than 5 minutes. There are many restaurants around the apartment. The apartment itself came with a fully equipped kitchen. The place was very comfortable and super clean.